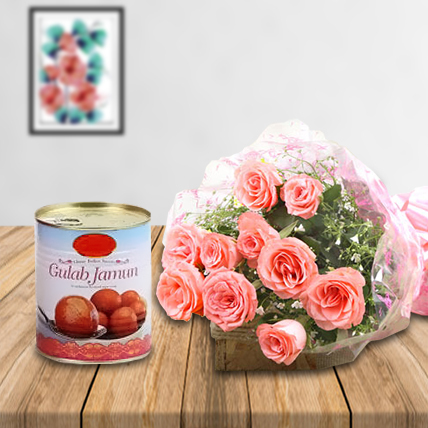 An exclusive hamper consisting treat of every taste! 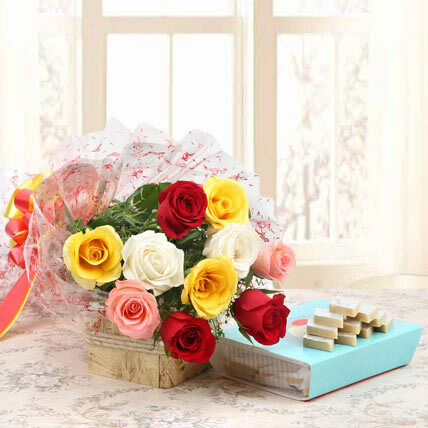 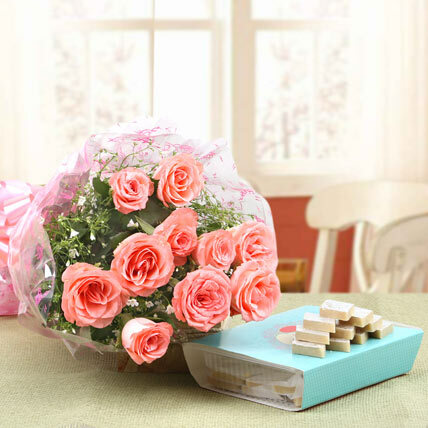 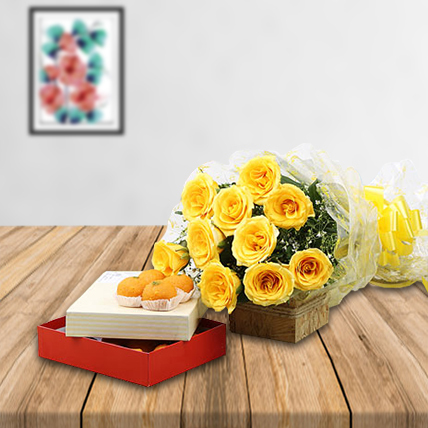 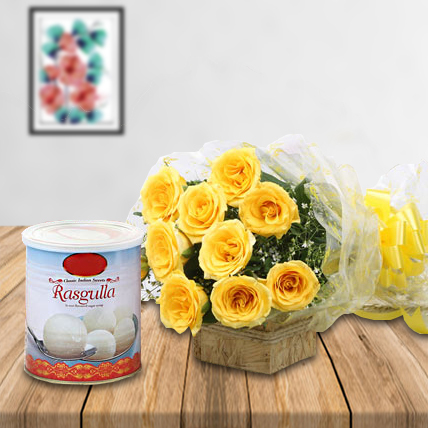 This special treat hamper including 10 yellow roses paired with delicious 1 kg Moti Choor Laddu makes great gift for all kind of special occasion. 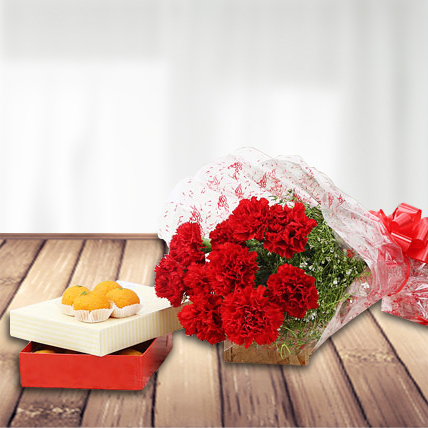 This delightful combo is sure to give sweet surprise to your loved ones.